How do I manage CALPADS Fall 1 Student English Language Acquisition (SELA) records in Illuminate? California Language Coordinators may use a variety of different methods to be able to determine the initial English Language Acquisition status of students entering their schools: home language surveys (HLS) for Kindergartners or students new to the state, or new to the public school system, and CALPADS records or cumulative files for students coming from other public schools. Even if Illuminate is not your primary student management system for English Learners, it does require the most up to date information as Illuminate is the master data source for updates to the State of California’s official student data system called CALPADS. An EL student has a status change (Reclassified) based on updated CELDT scores, Language Arts scores, teacher recommendation and parent-school determinations. 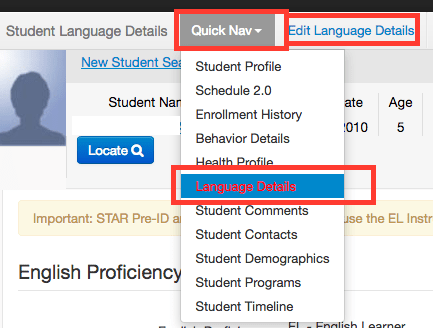 In Illuminate, within a student record, use the Quick Nav menu to navigate to Language Details, and select Edit Language Details. Required – State Student ID (SSID) – although listed in Student Demographics, the SSID must be completed for the CALPADS reports to pull the student data. Required – English Proficiency. Choose from Drop Down Menu. 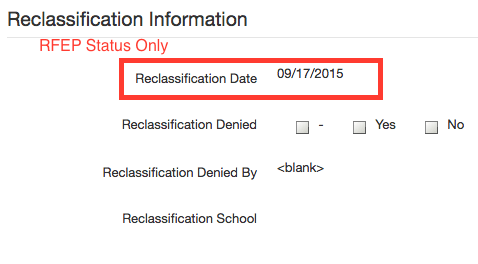 Students listed as TBD, EL, IFEP or RFEP should NOT have Primary Language set to English. Students listed as English Only should have Primary Language set to English. 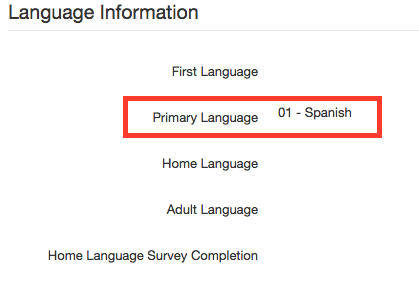 Optional: Tracking the entire Home Language Survey in the Language Section. Only Primary Language Fields are uploaded to CALPADS. Please keep in mind that CALPADS requirements may change, and/or the manner in which the Illuminate reports pull from these fields may also be updated at any time. Always test your data by running the CALPADS Student English Language Acquisition (SELA)(NEW) report from the State Reporting menu to ensure the data you entered is being extracted properly. We at Measure Education strive to keep these articles as up to date as possible, however, if your server includes any customizations or additional fields, best practices include monitoring your data monthly and running the CALPADS reports after making major changes to your system to be certain the reports are functioning as expected.